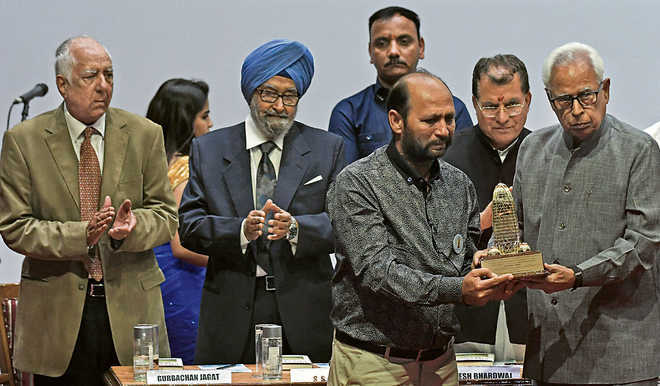 The Tribune Trustees honour Rajender Sharma, great-grandson of martyr Haqim Amin Chand. Rajender Sharma, great-grandson of martyr Haqim Amin Chand, is a businessman in Amritsar. Amin Chand hailed from Murad Pura Hakima Wala, a village inhabited by physicians of Maharaja Ranjit Singh. On April 13, 1919, Amin Chand left for Jallianwala Bagh, all decked up in black clothes as a mark of protest. He was at the forefront of the resistance and the following day, when his body was found, it was so badly riddled with bullets that the last rites were performed by NGO Sewa Samiti in the city only instead of being taken to the village. 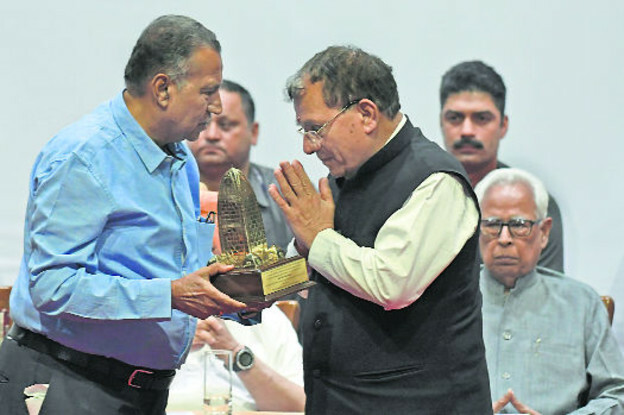 HP Minister Suresh Bhardwaj honours Mahesh Behal. Mahesh Behal, grandson of martyr Hari Ram, heads the Jallianwala Bagh Shaheed Parivar Samiti. When the Rowlatt Act was introduced, Hari Ram, a petition writer, would often tell people how dangerous the legislation was. A close associate of Pt MM Malviya, he was active in the freedom movement. Capt Amarinder Singh honours Sunil Kapoor, great-grandson of martyr Wasoo Mal. Sunil Kapoor, great-grandson of martyr Wasoo Mal, runs a textiles business in Amritsar’s old market. He is trying to keep the families of martyrs together through the Jallianwala Bagh Freedom Fighters Foundation. Lala Wasoo Mal Kapoor was a prominent cloth merchant of Karmon Deori area of Amritsar and liberally funded activities of freedom fighters. He was hit by two bullets at Jallianwala Bagh and six days later at the age of 45, he succumbed to his injuries at Civil Hospital, Amritsar. 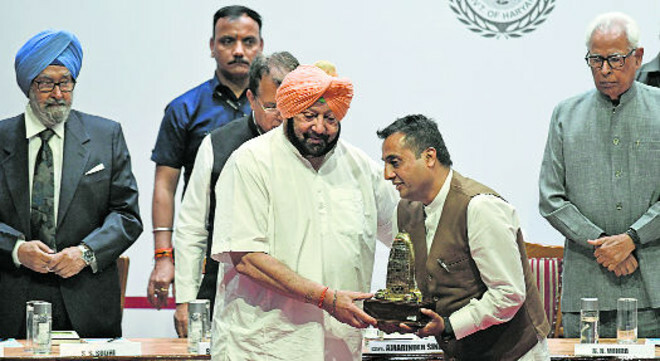 Himachal Pradesh Education Minister Suresh Bhardwaj today urged Punjab Chief Minister Capt Amarinder Singh to build a grand memorial in the memory of civilians massacred at Jallianwala Bagh. Bhardwaj said the way “our unarmed men were fired at on the orders of General Dyer cannot be forgotten. It was a deadly massacre of thousands of civilians who had gathered peacefully at Jallianwala Bagh”. The Himachal Minister said his state had always “stayed upfront at the service of the nation and our soldiers at the border were rendering selfless service for the country”.